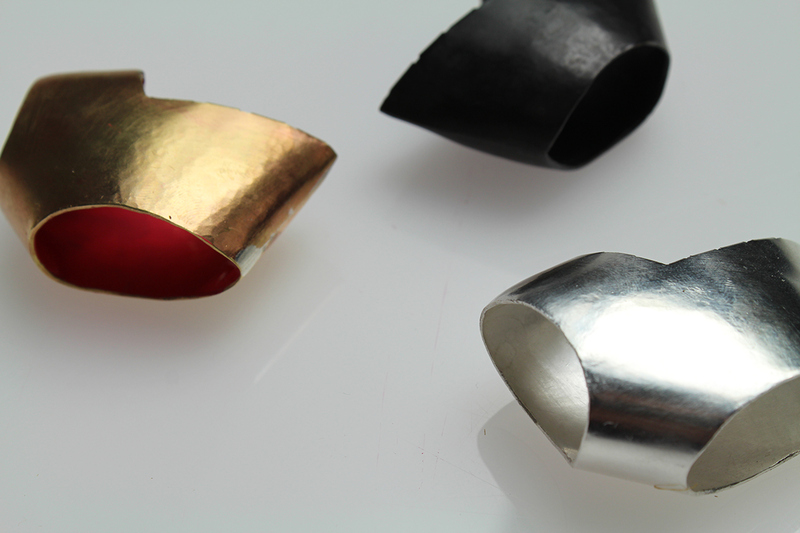 A statement ring discovered through the process of making. 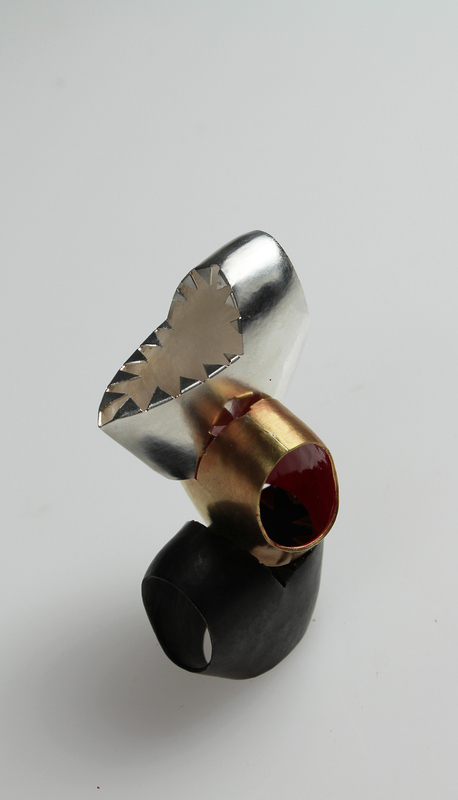 BITE is statement ring inspired by the sleek form of a shark’s head. Despite the vicious teeth, the ring hugs comfortably on the finger due to the uniquely shaped ring shank. The simple hollow form allows variation of colors to be introduced to the inner walls of the ring to bring different personality in every BITE ring. 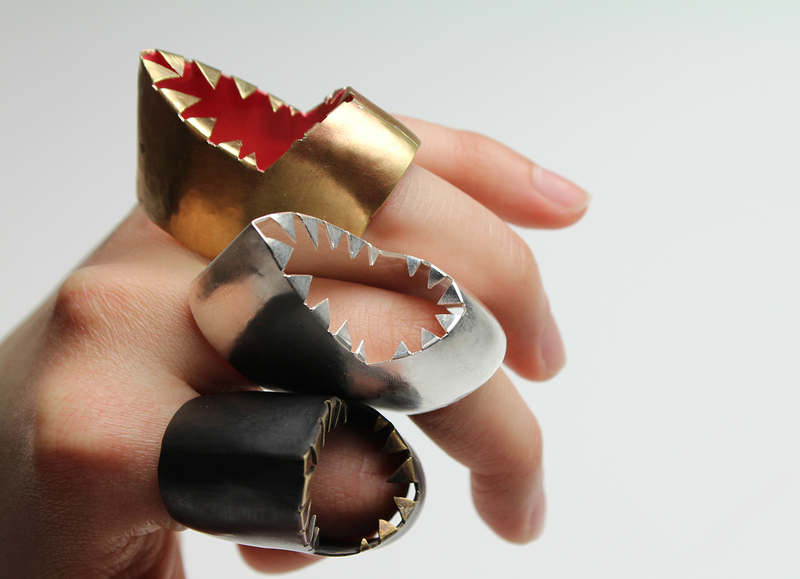 BITE is statement ring inspired by the sleek form of a shark’s head.